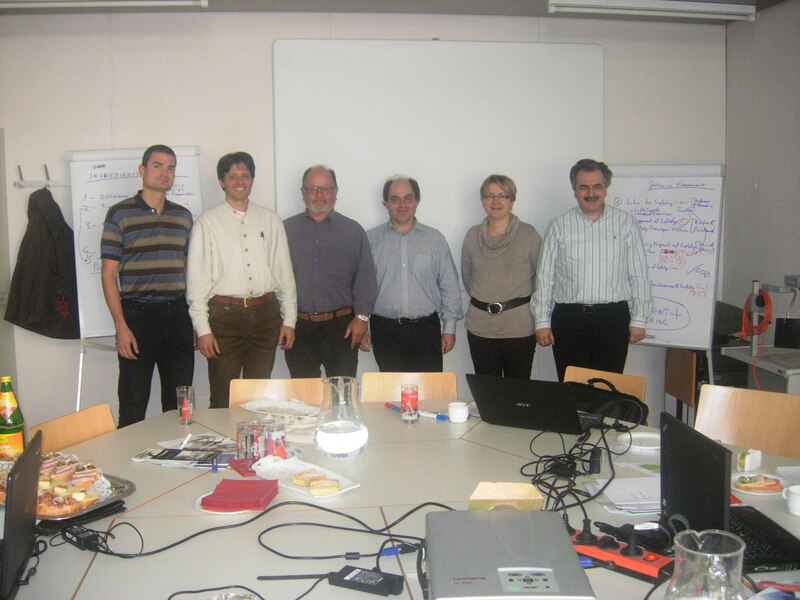 The SafEUr kick-off meeting was held at the Institute for Technical Informatics, Graz University of Technology, https://www.iti.tugraz.at/cms/. The project aims to develope together with the industry a skills card, a training and a certificate for safety manager. The certification will be based on the Europe-wide procedures of the ECQA (European Certification and Qualification Association). Project partners are Technical University Graz, ISCN, European Innovation in Manufacturing Association (EMIRAcle),FISMA, Method Park and contributors from SOQRATES companies such as Continental Automotive and ZF Friedrichshafen AG. This project (Project number: 518632-LLP-1-2011-1-AT-LEONARDO-LMP) is carried out with the financial support of the Commission of the European Communities under the Lifelong Learning Program.